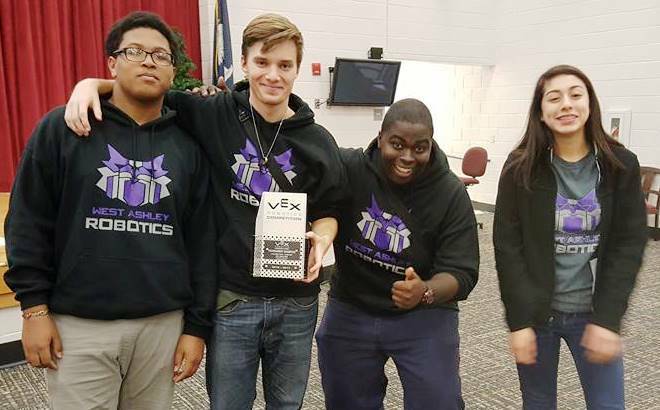 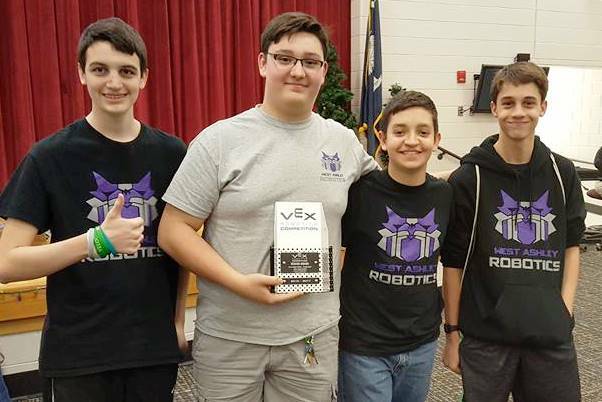 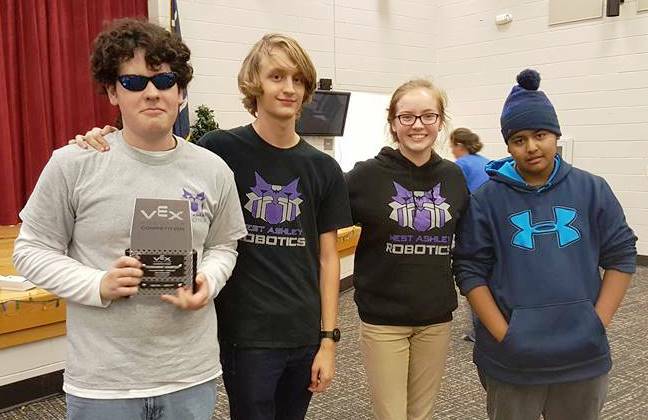 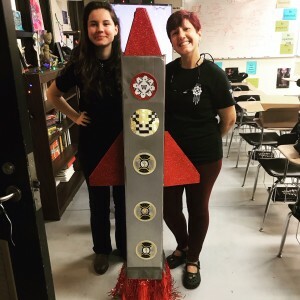 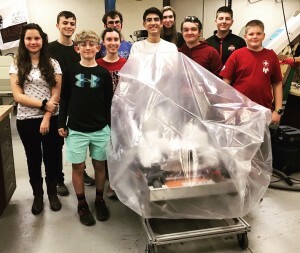 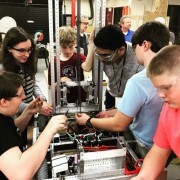 Wando High School is proud to announce that Wando Advanced Robotics has completed this year’s robot, Atlas, for FRC’s 2019 competition, Destination: Deep Space. 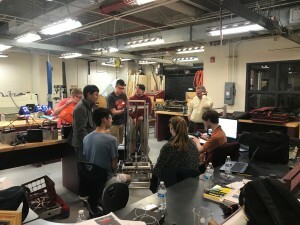 The senior and junior veteran team members, with the help of corporate mentors from IBM, Crunchy Data, and Indexic, took the lead in designing and building Atlas while at the same time giving the freshmen and sophomores hands-on experience so that they’ll be ready for the challenges to come. 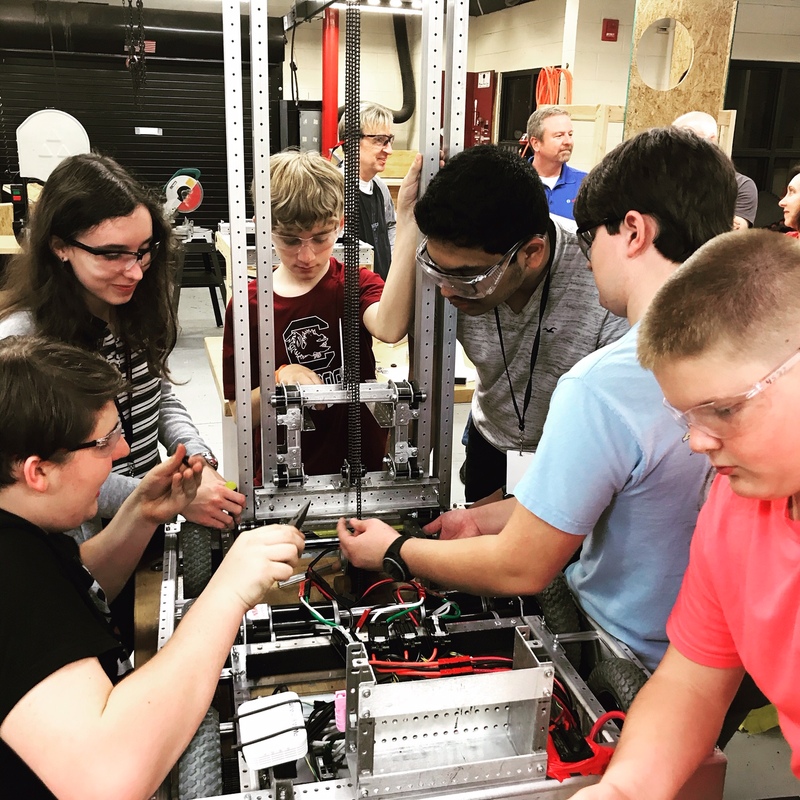 None of this would be possible without the generous financial support of Bosch, Boeing, SPAWAR, ABB, and the Society of Manufacturing Engineers. 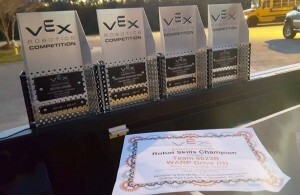 They make possible our students’ chance to compete in one of the most rigorous STEM competitions in the world. 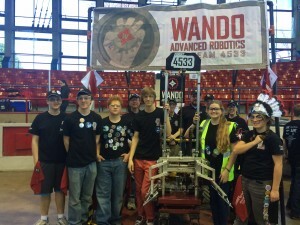 Wando Advanced Robotics (WAR) performed beautifully at the FRC North Carolina Regional! 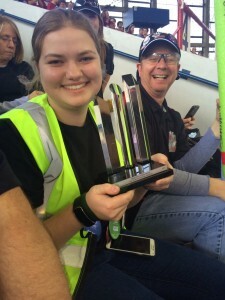 The WAR team was recognized for its commitment to safety and earned (for the second year in a row) the FRC Safety Pin! 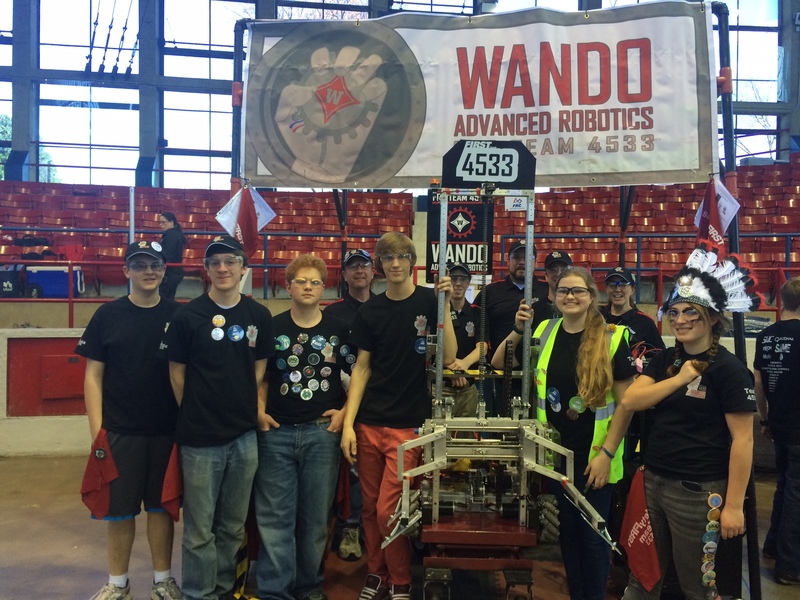 Even better, WAR finished fifth overall out of fifty-five Atlantic coast teams after being seeded sixth at the end of the qualifying rounds. 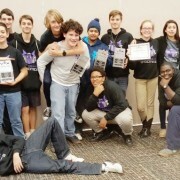 But best of all, this talented and dedicated group of Wando students won the prestigious General Motors Industrial Design Award for most efficient, elegant, and robust robot! 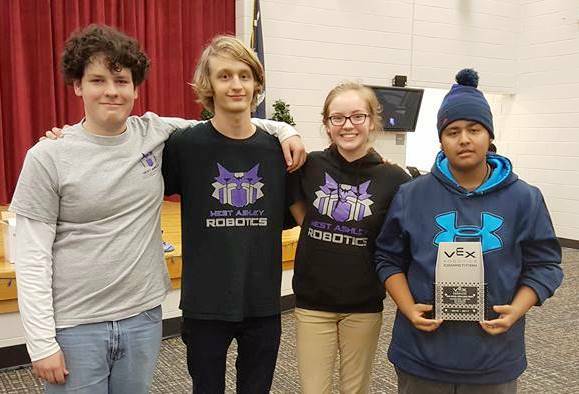 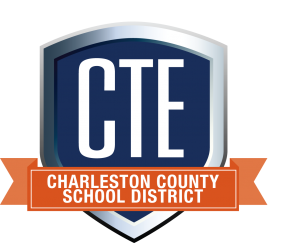 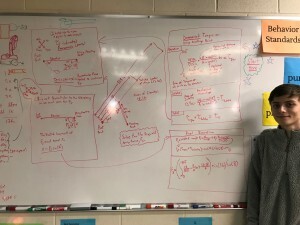 This coveted award is a tribute to the hard work and ingenuity of the students and STEM teachers of Wando and their dedicated professional mentors. 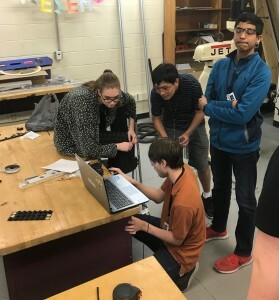 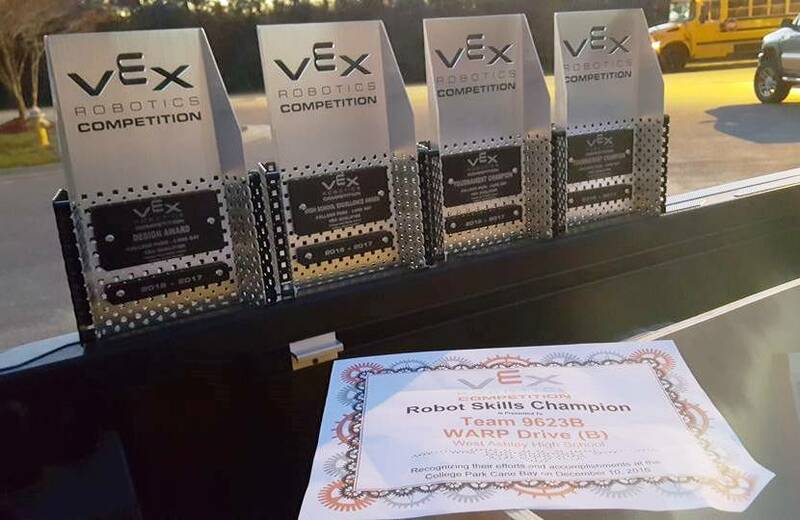 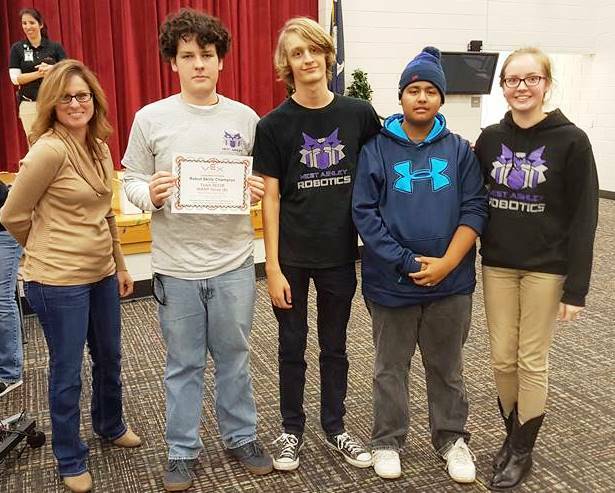 Wando Advanced Robotics is supported by Bosch, SAIC, NDEP-SPAWAR, Coca-Cola, Boeing, Blackbaud, CCSD, Leidos, Wando High School, SolidWorks, and the Society of Manufacturing Engineers. Student and mentor show off the General Motors Industrial Design Award. Students respond to FRC judges’ questions about the robot’s design. 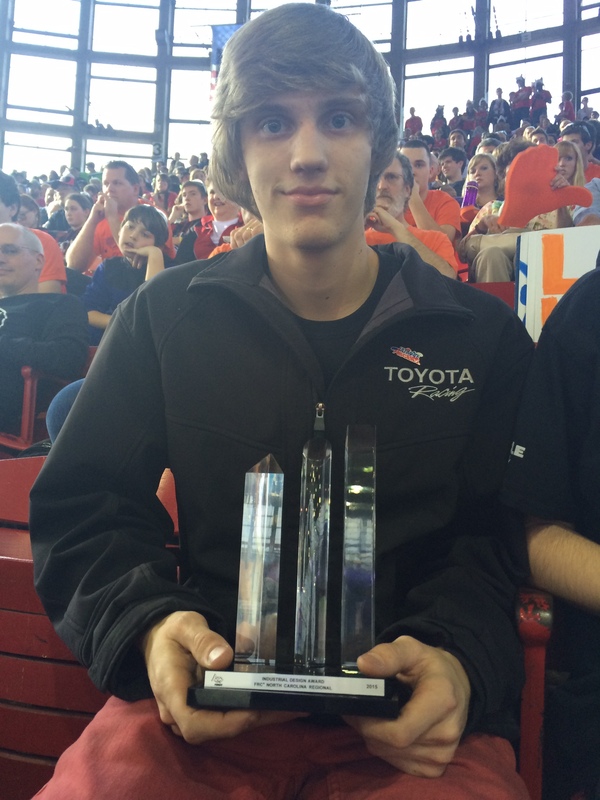 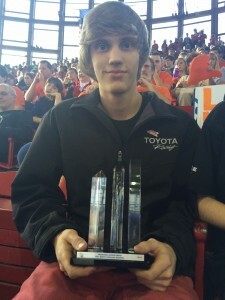 WAR’s Lead Build Student holds the award he helped win. 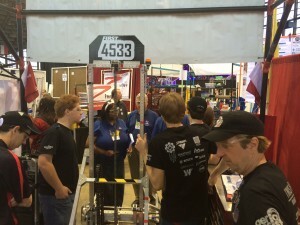 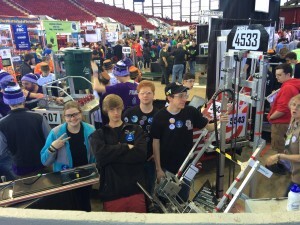 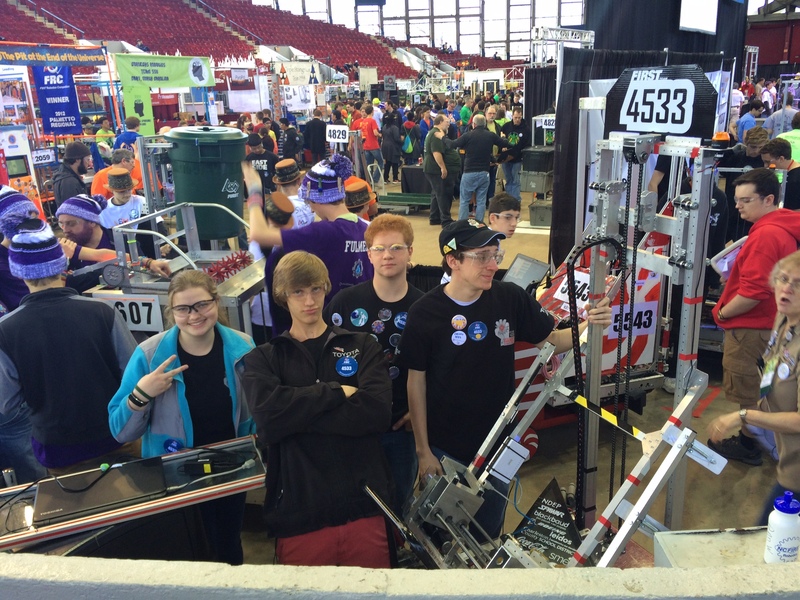 WAR’s Drive Team waits in queue for their next match. 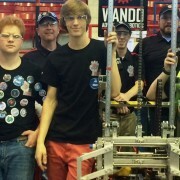 Team photo at the end of competition (not all students and mentors could attend this second regional).